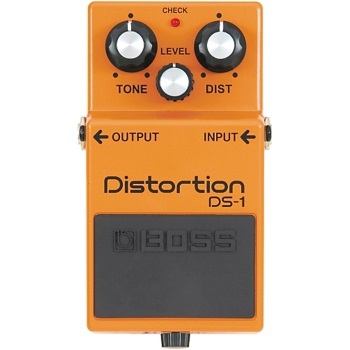 The classic DS-1 Distortion pedal provides a harder distortion effect for guitar and keyboard sounds. Instead of toneless, fuzzy distortion, the DS-1 faithfully reproduces all the subtle nuances of playing dynamics--at any volume. Classic BOSS Distortion tones for guitar and keyboard. Reproduces dynamics of playing, from soft to hard. Distortion, Level and Tone control to tailor overall sound as desired. BOSS 5-year warranty. Power supply not included.